Learn to strategically manage a personal training program or a fitness department with the education you'll get in the Fitness Business Management Online Training Program. This program is ideal for allied health and fitness professionals, personal trainers, fitness managers, and entrepreneurs who wish to establish a successful business model to apply to a fitness operation. 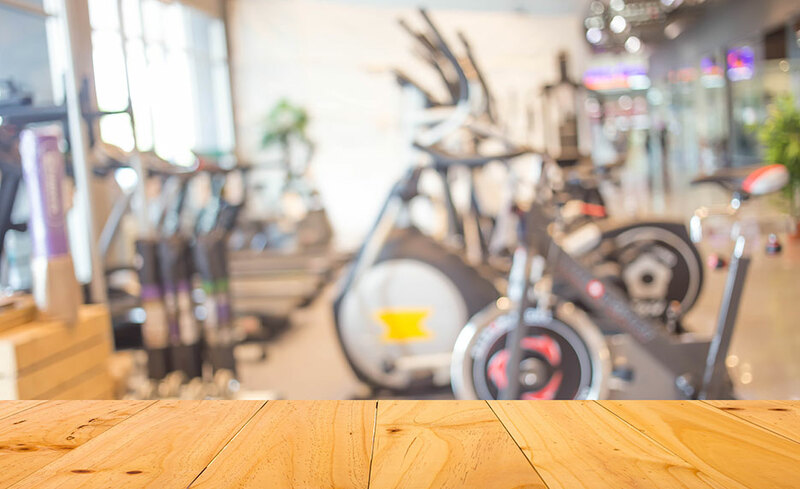 A successful fitness business is about more than burning calories and building muscles. To be competitive in the business world, you need to know about strategic planning, accounting, marketing, human resources, customer relations, and more. The Fitness Business Management Program will prepare you to implement a successful business system in private or commercial health clubs, medically-based fitness facilities, community wellness centers, personal training studios, physical therapy clinics, YMCAs, JCCs, college centers, recreational settings, or corporate fitness centers. This program was developed to establish an industry standard in fitness management education. A competitive advantage offered in this program is the Optional Field Internship. Students who take advantage of this option will be able to practice the fitness management concepts they've learned about through a six-week, 60-hour internship in a health and fitness setting. This program is offered in partnership with the IDEA Health & Fitness Association, Health Club Managers, Inc., and Personal Fitness Professional (PFP). IDEA provided content and curriculum for the program, and, as a student, you'll receive a complimentary six-month subscription to the digital edition of IDEA Fitness Journal. Health Club Managers, Inc., a health club staff and management training company, provides graduating certificate students with a preferred discount on their services. PFP provides students with a free three-year subscription. The subscription includes eight print issues of their magazine per year, a bi-monthly e-newsletter, a digital magazine, and access to an interactive Web site with blogs, polls, articles, and much more. This program can be taken on a PC or Mac. Technical requirements include, but are not limited to, having Internet access with a 56K modem (but it's highly recommended that you have DSL or high-speed cable Internet access), 64 MB system RAM, 200 MB free hard-disk space memory or sufficient storage, reliable e-mail account access, CD-ROM/DVD capabilities, and a reliable Internet provider. Some individual programs may have additional software or hardware requirements. There are no specific prerequisites to enter this program, other than an Internet connection, an e-mail address, and basic computer knowledge. Students are required to have CPR certification and approval by the program coordinator prior to beginning the Optional Field Internship. Ken Baldwin, M.ED, ACSM-H/FI, is the program coordinator and an instructor for the Personal Fitness Trainer and Advanced Fitness Trainer Programs. He is the former chair of IDEA's National Personal Trainer Committee and chair of the Senior Fitness Subcommittee for the Massachusetts Governor's Committee on Physical Fitness and Sports. Ken is the senior editor, content expert, and lead author for ACSM's Resources for the Personal Trainer Textbook, Second Edition. He continues to serve on national committees for the American College of Sports Medicine (ACSM), AAHPERD, and the Medical Fitness Association. He's been honored with numerous awards, including IDEA's Personal Trainer of the Year Award, presented at the IDEA International Personal Training Summit. Ken has been involved in the fitness, wellness, and education profession for over 10 years. His background includes operating and managing a personal training company; training many types of populations, from children to seniors and beginning exercisers to athletes; and lecturing and consulting at corporations, public events, national conventions (ACSM Health and Fitness Summit, Club Industry, IDEA, International Council of Active Aging, and the Medical Fitness Association, to name a few), and international conferences. In addition to his industry experience, he's actively involved in working with national organizations and colleges and universities to develop educational standards for those wishing to enter the personal fitness training profession. 12. How am I graded or assessed for this program? 13. What must I do to graduate with the Certificate in Fitness Business Management? Complete and receive a passing grade (of C- or above) in all modules. 15. Where and how do I perform my Optional Field Internship Program? Students who enter the program have three unique options for placement in a six-week, 60-hour internship experience. You may elect to intern at an approved partnered internship site, at a facility of your choice either in the U.S. or internationally (with program coordinator and instructor approval), or at a facility with which you're currently employed. The internship program requires students to establish informational interviews approximately four weeks prior to the internship start date with several different internship site locations. An internship information packet will be provided to guide you in the process of setting up an internship, if you're interested in this opportunity. NOTE: Students do need to receive CPR certification and approval by the program coordinator prior to beginning the Optional Field Internship Program.